A result of collaboration with Spidi, the Summer 3 jacket is part of the collection of ventilated Ducati garments. 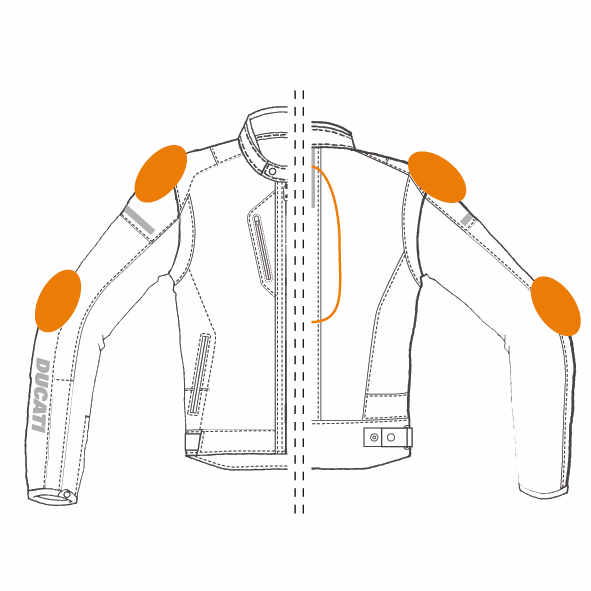 Further to removable CE certified Force-Tech protectors on the shoulders and elbows, this garment also boasts an inner pocket in which to insert a Warrior back protector: the mix of high tenacity polyester fabric and mesh ensures optimum support of the protectors in the event of a fall. The zip and internal fastener to attach pants mean that you can use it with the ventilated Summer 2 pants or with any other model that has belt loops.